At Grange Primary School we uphold an inclusive admission policy which is built on a whole community approach to special needs where staff, governors, parents and support services work together as a team co-operating, collaborating, and co-ordination in all that they do so that it produces the best possible education for all pupils, including those with SEND. What kinds of Special Educational Needs does Grange Primary make provision for? 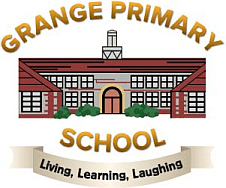 Grange is a primary school, which provides education for 3 to 11 Years (Nursery to Year 6). At Grange we provide provision to meet the needs of children with different needs, including; moderate and severe learning difficulties, children with specific special educational need such as; Autism, Attention Deficit and Hyperactivity Disorder (ADHD), Language and Communication, Behaviour and Sensory difficulties. We also provide further provision for children with dyslexic, dyscalculic and dyspraxic tendencies. How would Grange identify if my child needed extra help? At Grange all class teachers differentiate for the needs of their pupils in every lesson. If a child is highlighted as struggling with a particular area of learning they are added to the class provision map, which indicates how and when they will receive additional, targeted support for the area of difficulty. It is hoped that with additional support, the child would develop in this area and become stronger in it. If a child continues to find a particular area(s) a difficulty we would contact parents and arrange for a consultation with the class teacher, parents and SENCO. We would then agree on specific targets for the child to work on over the term. We would record the child’s specific targets on an IEP. This would allow us to track the child’s progress, giving us all a clear picture in their developments. If a child continued to require additional support we may decide that we need to apply for further support – for example behaviour support, Graduated Response to Individual Pupils request (GRIP) and ETAEYS (for Early Years FS1 and FS2) or an Education and Health Care Plan Assessment. Grange have a range of resources and development profiles that may be used to judge a child’s abilities. We also have a number of professionals that we are able to approach to support both the school and the child in their area of need. For example, we have a number of children who receive support from Physiotherapists, Speech and Language Therapists, School Nursing Team, Occupational Therapists, Family Resource Workers and Specialist teachers for a variety of areas. The school finds it extremely beneficial to receive support from outside agencies. All children’s progress is rigorously tracked by members of the school’s Senior Leadership Team. The SENCO specifically tracks the progress of all SEND children and those children who may not be making expected progress. The SENCO has specific time each week (Friday) to support and liaise with staff, to ensure that school is providing effective provision for these pupils. The school is tracking the provision of interventions, such as; Physical Literacy, Talk Boost, RWInc and FreshStart, Sound Discovery and Precision Teaching interventions, as well as Nurture groups, based on THRIVE intervention plans, to ensure that these are having an impact on children’s development. Governors are kept informed of the progress of these and all children at regular committee meetings. Those children who are receiving additional support through provision mapping are constantly being assessed and reviewed. Provision maps are reviewed every term (3 times per year for data collection and a further 3 times to ensure impact). Children who have an IEP are also continuously involved in assessment of their learning. They have their IEP formally reviewed 6 times per year, with 3 IEPs written. If a child needs adjustments making to their IEP this can be done as and when is needed. If a child has a statement of SEND or an Education and Health Care Plan these are formally reviewed annually. However, these children will also have individual provision maps in place as well as IEP’s, Behaviour plan if this is required or an Emotional and Well-Being Support Framework. for. From September 2018 all new children who are included on the SEND register will automatically have all details of provision recorded on the new Derbyshire paperwork entitled “My SEND Learning Programme”. This will in the long run replace much of the paperwork that previously needed to be completed and will hopefully enable better support from the county council and also equate to additional funding being made available for more of the children who desperately need it. We aim to meet with parents at regular points throughout the year. Your child’s needs will be a factor in the level of contact that we will require from you. As a school we hold two parent consultation evenings each year. We send out at the beginning of the year expectations for each year group and you will receive an annual report at the end of the school year. If your child has an IEP we aim to meet you on three additional occasions, to discuss the progress they have made and set their new targets. If your child has a Statement of SEND or an Education and Health Care plan, this will be reviewed annually. For some children they will require a Home – School Diary. This allows daily interaction between parents and teaching assistants / class teachers. As a school we hold an ‘open door policy’, therefore parents are invited to contact the school with any problems or queries, as and when is necessary. The support your child receives will be dependent upon your child’s needs. For example, if your child has a Statement or an Education and Health Care Plan they will have been given a specific number of hours support. If your child is on an IEP or class provision map they will receive support specific to their needs and development. Therefore children do not all receive the same amount of support. Children may receive 1:1 support, small group targeted support – in or out of the class, by either a teacher or a teaching assistant or intervention and booster groups which may take place over one or two terms. Class teachers are responsible for differentiating to the different needs of their pupils. Therefore children will be fully integrated into classroom life, whilst receiving an appropriately challenging curriculum. As all children are individuals the curriculum will be adapted to their needs. This may be by providing children with different tasks or different resources to carry out their learning challenges. Thought is given to where children are seated in classrooms for a range of reasons. The school has a number of additional rooms separate to the classrooms, which enable children to participate in some activities where it is quieter or less visually stimulating. Some children will carry out IEP work in these rooms, whilst this is not necessary for all children. These rooms are also used for intervention and booster groups. If your child has a Statement or Education and Health Care plan their needs will have been identified through this. This will indicate how much support your child needs. As a school we have provided additional support at times, when we feel necessary. If your child is receiving support through class provision maps or an IEP their level of support will be very specific to their needs. For example, if your child is being supported on a class provision map for one specific target it would be normal for this to be targeted a couple of times throughout the week. If the school has discussed with you a range of difficulties for your child you should expect your child to receive a greater level of support. Individual timetables are made for children who do not have an Education and Health Care Plan, but do have a range of learning needs. All year groups access trips and visitors throughout the year. The school will fully include all children. It may be that children require additional adult support or resources – such as pushchairs / wheelchairs for visits out of school. This would be discussed and planned with parents prior to any trip. When children reach KS2 we have a number of residential trips. Any adaptations required for these trips would also be carried out prior to a trip commencing. As all trips are individual, necessary arrangements for lunch, toileting and breaks would be discussed with you as necessary. We plan for all children to begin with their peers. If a child enters school with an EHC Plan we would plan a range of activities into school. For example, we may arrange additional sessions in school, have professionals meetings and make a picture passport with important people and places in the school to be shared during the summer break. If a child joins us from another school or setting the SENCO would liaise with the previous SENCO to ensure we have as much information as possible about the child. On occasions, we have provided children with a reduced timetable on entry, this is planned for individual circumstances where appropriate. Our staff have a range of experiences and expertise for supporting children with SEND. These include; behaviour, Dyslexia, Autism, Communication, Physical Literacy and many others. All staff have received basic Behaviour management training, whilst some have further expertise in this area. Our SSSEN support team provides support for class teachers, teaching assistants and whole school development. Currently we have SSSEN working in school 2 days a week. We are committed to developing staff’s knowledge and keeping their skills up to date, therefore regular training takes place throughout the year. How accessible is Grange Primary School? Our school is fully accessible. We have dedicated toileting facilities and ramps where needed. We work closely with the Physical Impairment team to make adaptations and provide additional resources for children who require these. We are currently working closely with Hearing Impairment to look at how we can make our classrooms as accessible as possible for those children with a hearing impairment. We hope to meet new parents when you are deciding on your choice of primary school. We hold a number of parents’ open evening for new parents in June / July, as well as providing visits for the children before they start Reception in the September. We also hold a new parents meetings in June or July for the children who are starting at the Nursery. We encourage all parents to come and have a visit where they will be shown around with chance to speak to the SENCO or the school family liaison worker. The school PTA (FrOGS~ Friends of Grange School) provides many social events and fundraising activities over the year, such as Christmas and Summer Fair’s, Discos, coffee mornings and many more. Please see the school office or our website for more information. When it is appropriate your child will be fully involved in reviewing and setting their new targets. Children are involved in the reviewing process of IEP’s and Statement / Education and Health Care Plan reviews. In school we also encourage children to take control of their day-to-day learning. This is done by giving them choices about how to tackle learning challenges, the style in which they complete a learning challenge or the level of the challenge that they are completing. We have a school council, which is made up of representatives from every class, from years two – six. These children meet with the designated teacher every two weeks. They have been responsible for developing play times as well as other important issues around the school. If you have any enquires regarding support for your child and SEND please contact Mrs Rachel Fletcher – SENCO and Acting Deputy Head teacher. If you have a concern regarding the school provision, please contact Mrs Rachel Fletcher SENCo and Acting Deputy Head teacher. In the unlikely event that your concern is not resolved then please contact our Chair of Governors – Mr Gordon Thomas.